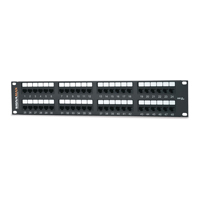 Category 5e Patch Panels are designed to exceed ANSI/TIA-568-C.2 component, permanent link and channel performance specifications providing usable bandwidth beyond 155 MHz. 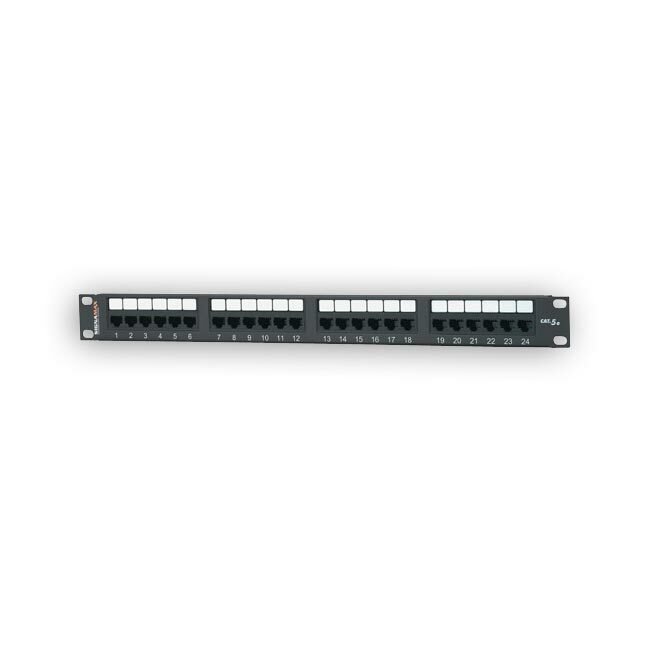 These high-density panels are available in 12- through 48-port versions and feature enhanced front and rear labeling features for easy circuit identification. Category 5e panels support both T568A and T568B wiring schemes using an easy-to-read color-coded wiring label. Panels are constructed for maximum strength and durability and feature a fully enclosed, modular design, which provides flexibility and protection of printed circuitry during termination. 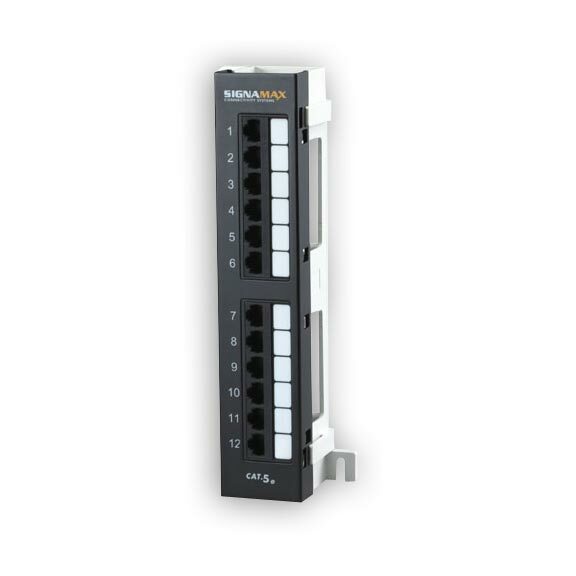 Rear termination is made quick and easy using a 4-pair inline 110-type connector compatible with standard multipair impact tool to reduce installation time or single-position 110 termination tool.